Today, as I work on revisions and battle feelings of overwhelm and oh-my-goddess-will-I-ever-be-finished-with-this-effing-story, I’m trying to keep in mind that perfection is the enemy of done. My revisions will never, ever be perfect. This manuscript will never, ever be perfect no matter how many times I revise. 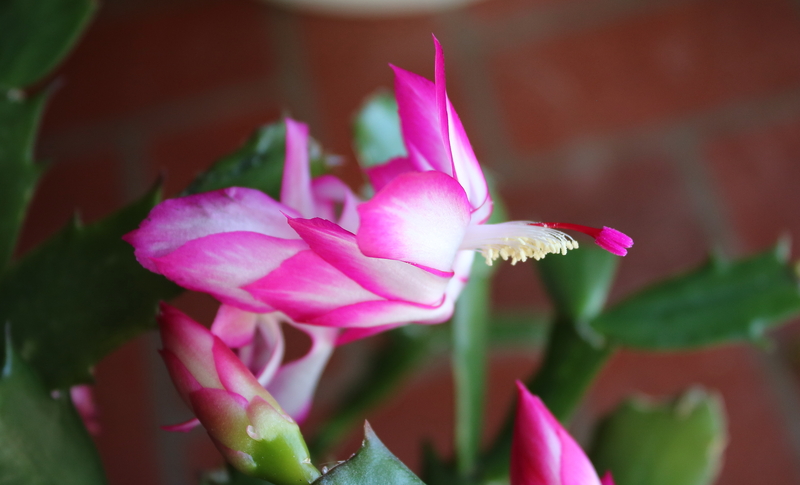 Yes, the bloom on this Christmas Cactus is pretty much perfect, but that kind of creation is out of my reach. What is within my creative control is forging ahead. Ignoring the voices in my head telling me that my efforts are pointless because they’ll never be exactly right. At this point, the healthiest attitude is to let go of exactly right and aim for exactly done.